After making informed decisions about your medical care and the doctors to whom you are entrusting your care and treatment, selecting an attorney to represent you after an injury producing event can be the most important decision of your life. While common sense and a positive feeling about a lawyer can be critical in deciding which attorney to select to represent you, there are some factors that you may not realize play an important role in your choice. First and foremost, advertising is not a reliable nor appropriate method of choosing an attorney. Let’s be candid, representing injured people in claims against insurance companies is a highly competitive field with many attorneys being well qualified while others solicit your case through means that do not necessarily reflect their qualifications or the experience necessary to get you the best outcome to your case. Simply stating that “we have recovered millions of dollars for our clients” does not imply or suggest that the attorneys making such a claim have done so themselves or that they have ever taken a single case to trial much less that they have the depth of experience to litigate against well funded insurance companies with armies of lawyers.  Many firms spend tens of thousands of dollars per month to get their names in front of the public believing that injured people will call a lawyer who happens to have a telephone number that is easy to remember or a catch phrase that is memorable. These are probably the least reliable method for selecting a lawyer. A discussion of attorney fees is important as many people feel they cannot afford the best attorney and should pick a lawyer based on the amount of fee that will be charged. In fact, virtually all lawyers who represent those injured through the fault of others charge the same contingency fee. The contingency fee simply means that the lawyer charges a percentage of the amount recovered and that should there be no recovery there will be no fee charged. The fee is normally in the area of 30% of any recovery before litigation and 40% after a lawsuit is filed and extensive work done in preparation for trial. Once trial begins most firms charge the higher fee of 40% as the work required to prepare for and commence trial is far greater than that necessary to settle a case before a lawsuit is filed. The important thing to remember is that whether you hire a highly experienced successful attorney or an attorney whose name you have seen on a bus bench the fee charged will generally be the same. Selecting a lawyer, therefore, should be based on something other than the fee being charged. A referral from a friend or a former client of the lawyer is frequently the best method of choosing a lawyer or at least one of the more reliable. Much like choosing a doctor to treat you, selecting a lawyer should be based on factors that indicate experience, honesty, trustworthiness and perhaps a personal feeling you have after meeting the lawyer. In that regard, if you have been significantly injured you may want to meet with or interview several lawyers before making your decision as to whom you should entrust your case. Certainly, you would not choose a doctor to perform surgery because you saw his name on the side of a passing bus or because you saw an ad on late night television that proclaims “we will win for you!” or some other catchy phrase. These are hardly the kind of “qualifications” that should determine who to retain to handle what may be one of the most significant events of your life. While many attorneys claim to have extensive experience in representing injured people the majority have never been to court much less have they ever taken a case to trial. The fact is that most cases settle before trial. Indeed, statistics indicate that more than 90% of all cases settle prior to trial. As trial is a last resort and the outcomes almost always uncertain, it is understandable that many clients would prefer to have an attorney who promises to get a good settlement rather than one who brags about trying every case. Nonetheless, it can hardly be argued that an attorney who gets outstanding results in trial is not going to get the best settlement offers! While there is certainly no direct correlation and some attorneys get outstanding settlements without trial, having some trial experience and having obtained substantial verdicts is clearly a qualification that indicates the insurance company on the other side will take the lawyer more seriously than one who spends thousands of dollars on advertising. Another way to find an attorney qualified to handle your case is through a referral from another attorney, someone who you may know or to whom you may have been referred by a friend or other professional. Lawyers are not only able to refer cases to other lawyers more qualified to handle the matter at hand but in fact are encouraged to do so. The California State Bar recognizes that these referrals take place and sanctions the practice to ensure that the client obtains the most capable lawyer to handle their matter. It should be noted that the lawyer making the referral frequently negotiates a referral fee to be paid to him/her after a successful resolution of this matter. This practice is also permitted so long as the client is informed, in writing, of the agreement between the attorneys and further that the referral will not change or increase the amount charged to the client. These agreements typically benefit the client as they tend to encourage lawyers not to handle cases which they are not qualified to take on. While choosing an attorney with significant experience in both trial and settlement is important, it is also necessary that the client recognize the kind of case that they have and the qualifications of the attorney to handle that type of case. By example, almost any attorney specializing in personal injury can handle a rear end automobile accident even though some attorneys will get a better result for their client than other attorneys whose only interest is in settling as many cases as possible. Other cases require specialization and the background and wherewithal to litigate against well funded defendants with a lot at stake. Typically, suing a product manufacturer, including automobile, drug and other larger companies requires a lawyer experienced in that kind of litigation with the staff and financial ability to litigate these difficult time consuming cases. It is rare that a sole practitioner will be able to devote the kind of time and resources necessary to prevail against General Motors or Pfizer Pharmaceuticals. These companies will often expend hundreds of thousands of dollars to defeat even valid claims and protect their company image even when the product was clearly defective! Choosing the right firm to oppose these corporations is essential to success. Locating such firms is not difficult and researching the web will disclose verdicts and articles that refer to the firms that have been successful handling such cases. Similarly, cases involving other complex claims including medical malpractice and sexual harassment require the expertise of lawyers who regularly litigate such claims. There is little doubt that having the background and experience in handling specific types of claims gives the attorney with such a history an advantage over other attorneys who have never handled such cases and, more importantly, levels the playing field against the well funded insurance industry that has the resources and law firms to mount an aggressive defense to even the most egregious wrongdoing. The contingent fee attorney is the consumer’s best weapon against the wrongdoers of corporate America and presents the injured party with a fighting chance of being compensated for the harm they have suffered and, in some cases, the life altering catastrophic injuries that have rendered them incapable of returning to their former lives. A final note on attorney selection is appropriate. While a well funded and experienced law firm may be the most qualified to handle complex cases, it may not be in the client’s best interest to hire such a firm to handle a significant but straightforward case such as a serious automobile or motorcycle accident with permanent injuries. Often, the larger firms will focus on the most dramatic cases and the senior partners will be occupied handling those matters. When less substantial but nonetheless serious case comes into the firm they are frequently assigned to younger associates who are less experienced. It is up to the client to ask questions about who will be handling their matter and to recognize that while larger firms may promise that your case will receive their full attention, it is just common sense that those cases with the greatest potential for dramatic outcomes and headlines in legal journals will get the greatest commitment from the senior attorneys at the firm. Often, an attorney with extensive experience and a smaller caseload will be the best suited to the client’s case and will devote his/her full attention to getting the client the most successful outcome. As with all cases, it is imperative that injured parties speak with an attorney in any case with significant injuries and that they do so before they speak to an insurance company…theirs or the other party’s! As mentioned in other articles on our website, an attorney can give you invaluable advice on how to protect your rights and what to do to insure you have the best chance to recover the full amount of compensation to which you are entitled. Notwithstanding their advertising campaigns, you are not necessarily in “good hands” nor are insurance companies a “good neighbor” when it comes to protecting your rights. While they proclaim otherwise, years of litigating claims against insurance companies have taught that the only interest they have is to avoid paying claims, even those where their insured is clearly at fault. Where they are forced to pay they will do everything within their power to pay as little as possible. It is imperative that you protect your rights and that you hire the most qualified attorney you can find with the background, training, experience and wherewithal to represent you best.